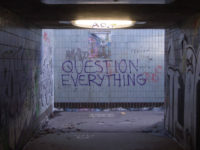 Once the list of piracy sites (whatever the standard) is addressed, it is very likely that the Bell coalition will turn its attention to other sites and services such as virtual private networks (VPNs). This is not mere speculation. Rather, it is taking Bell and its allies at their word on how they believe certain services and sites constitute theft. 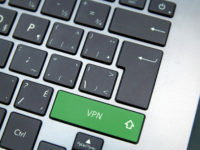 The use of VPNs, which enhance privacy but also allow users to access out-of-market content, has been sore spot for the companies for many years. 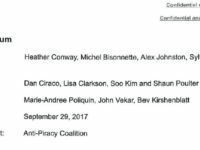 The CRTC this morning rejected the Bell coalition’s website blocking proposal, concluding that the application to establish a new anti-piracy agency and approve site blocking without court oversight falls outside its jurisdiction. Opponents of the site blocking proposal frequently cited concerns with the proposal and the limits of the CRTC’s mandate: my posts discussed how it failed to further and undermined the Telecommunications Act policy objectives, and was inconsistent with the CRTC’s policy direction. 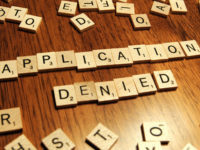 Similar comments came from groups such as ISOC Canada, which argued that the applications involved copyright, not telecommunications. Bell’s behind-the-scenes effort to drum up support for its site blocking proposal at the CRTC has been the subject of several posts over the past few months. Based primarily access-to-information requests, I’ve identified Bell pressure on universities and colleges such as Ryerson University, George Brown College, and Brock University, who all submitted support letters to the CRTC, though those letters were not always quite what they seemed (Brock University quickly distanced itself from the submission, the Dean behind the Ryerson letter advised Bell that he could not speak for the faculty). Earlier posts also highlighted Bell’s astroturfing campaign with its own employees and its undisclosed meetings with CRTC officials months before the proposal was made public. Having examined how Brock University and George Brown College (part one and part two) came to support the Bell coalition website blocking plan, this post relies on Ryerson documents obtained under access to information laws to reveal how Charles Falzon, Ryerson’s Dean of Communications and Design, came to write in support of the site blocking plan. 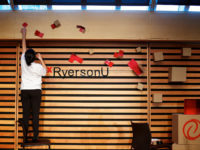 Much like the other two institutions, Falzon was approached by Mark Milliere, a Bell executive, asking for Ryerson’s support for the initiative.